A Mohawk is a type of hairstyle that has entered mainstream fashion, with both sides of the head shaved. It is sometimes referred to as an iro and can be seen on both men and women. Above hair tattoo for African American men is created using sketching, razor sharp cutting, chalks and patterns. However, you should still minimize the use of chemicals on your hair, and opt for natural oil conditioners to maintain the health of your scalp and hair follicles. If you love the punk look, you can achieve this style by relaxing the texture of the hair before cutting it with razor sharp edges. Your barber can create different patterns on each side of the head, using a different grade cut. Sketching the patterns before shaving in between will give the exact same style as Roscoe Dash. Start by brushing the hair towards the middle part of your head. As Afro hair tends to hold easier, you do not have to apply waxing gel. 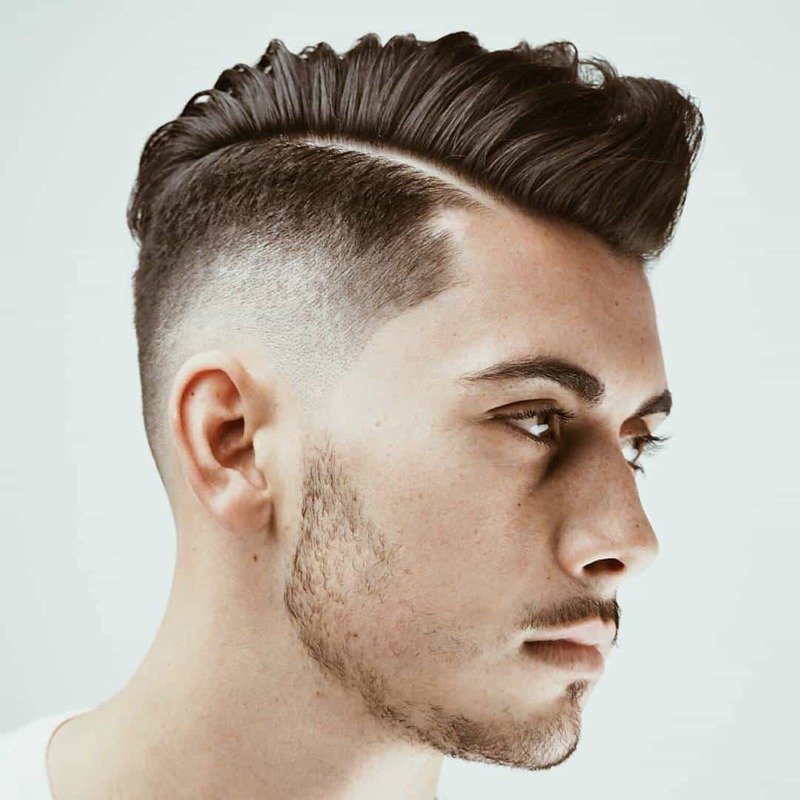 Next, decide on whether you want to shave the sides with the hair left in the middle area, or shave it down all the way through. Decide what you want your Mohawk to look like, and use your imagination. You can choose to style the sides of your head by adding words. Just as the rapper Roscoe Dash who spelled the words ‘MoNique’ on one side of his head and ‘Roscoe Dash’ on the other side before visiting the show with the same name. On the other side of his head, the rapper showed off shapes of stars, which were then filled in with red and silver color glitter. A white chalk is used to fill the lines between the patterns. For finishing touches, the middle part of the eyebrows is also shaved. The best thing about this hairstyle is that your stylist can at anytime change the design of the patterns on the sides of your head. The top part of the hair is trimmed lightly using a sharp scissors, and hairspray is then applied for extra support. One last tip is to make sure your facial hair looks up to par as the Roscoe Dash Mohawk hairstyle tends to bring more attention to your beard and goatee. Look through facial hair category to get better ideas of how to groom your facial hair to suit your new haircut.